This may not be the right recipe in its entirety for the novice or hurried baker, so do what pleases you without bringing frustration. I assure you no one will complain if you crumble store-bought shortbread in a glass and top it with pastry cream and berries. (Indeed, no one in my house would complain if you simply handed them a bowl of pastry cream and a spoon.) 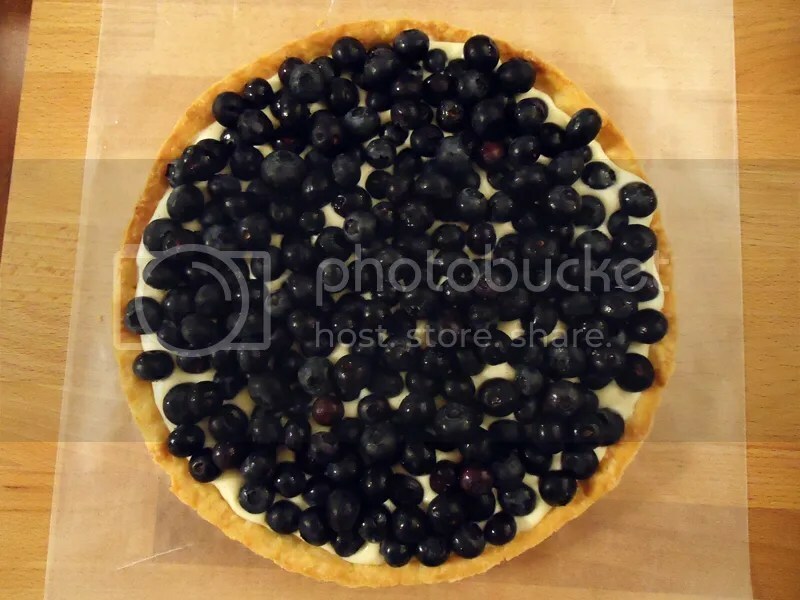 Or try your hand at the homemade crust this time, and fill it with a thin layer of purchased lemon curd, then top with berries and whipped cream. At the end of the day, a recipe is a success only when it puts both delicious food on the plate and a smile on the cook’s face. In a food processor, combine the flour, sugar, lemon zest, and salt and pulse a few times to blend. Scatter the butter over the dry ingredients and process until reduced to fine, buttery sand. Scatter the cream cheese cubes over the top and process until ingredients mix completely and come together in a ball of dough. Oven 350F. Bake the tart shell for 20-25 minutes, until edges and bottom are light golden brown. The crust will shrink quite a bit, hence the finished 9″ size, but this shrinking makes removing the tart shell from the pan a breeze. Allow tart shell to cool completely, then remove from pan, place on desired serving platter, and set aside until ready to fill. This can be done the day before, but be sure to wrap the cooled pastry well while it sits. In medium saucepan, stir together one cup of the milk, the sugar, salt, and the vanilla bean paste or vanilla bean seeds. (If using vanilla extract, wait to add until just before refrigerating the hot custard.) Bring the mixture to a boil over medium heat. Meanwhile, whisk together the remaining 1/2 c. milk, cornstarch, flour, and egg yolks in a small glass bowl or measuring cup. Transfer a 1/2 cup of the boiling milk mixture into the egg yolk mixture and whisk until combined. (This step changes the temperature of the eggs slowly so that you don’t wind up with white chocolate scrambled eggs.) Pour the tempered egg mixture into the boiling milk and stir thoroughly. Bring back to the boil and cook for 30 seconds until thickened. 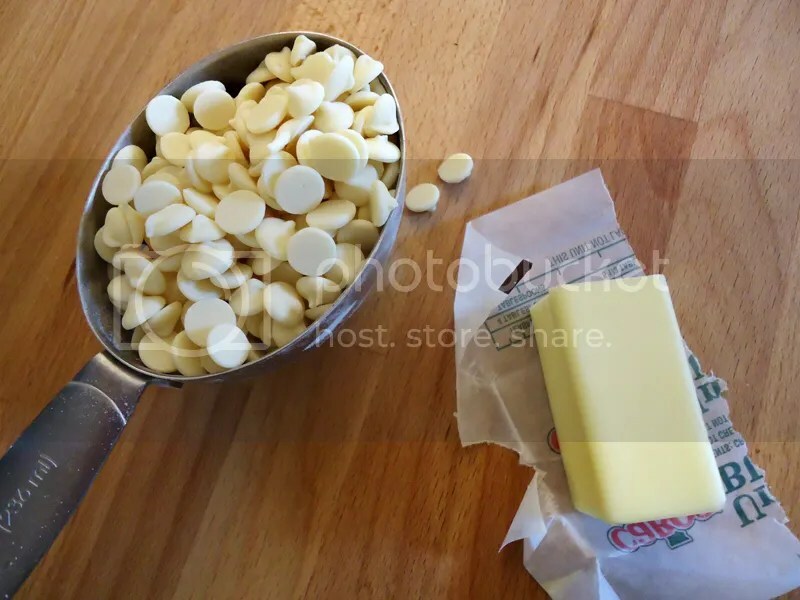 Stir the butter and white chocolate into the hot custard until it is all melted and thoroughly combined. Rub a bit of butter over the top of the custard, then cover well with plastic wrap, pressing the plastic down on to the surface of the custard so that no skin forms as it cools. (The butter will keep the plastic wrap from sticking.) Refrigerate until cold, at least four hours. Once cooled, gently fold in the 1/2 cup of whipped cream and refrigerate again, tightly covered, until ready for use. Pastry cream will keep up to a week. 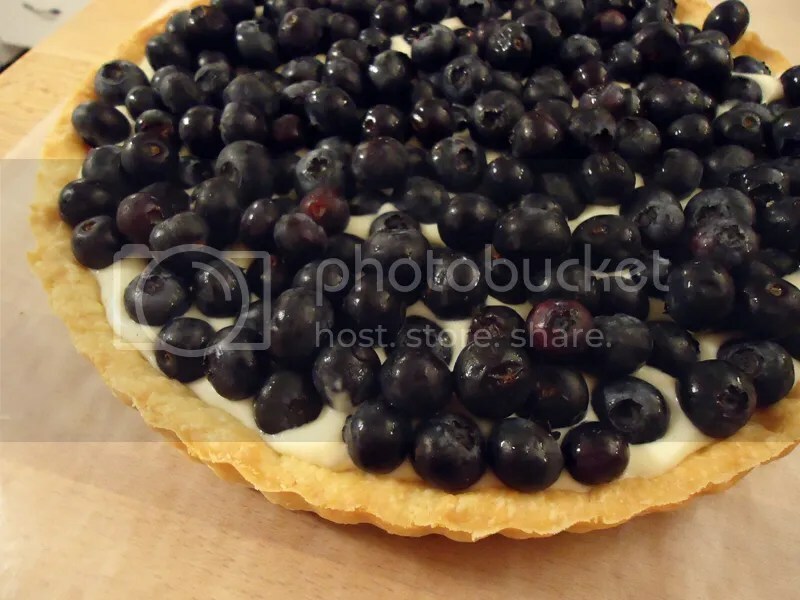 If you’re not a blueberry fan or they aren’t in season, try a Banana Butterscotch Tart instead. Simply substitute butterscotch chips for the white chocolate in the pastry cream, and sliced bananas for the blueberries. Omit the apricot jelly glaze and drizzle a little caramel over the top instead. The Cream Cheese Pastry recipe above comes from Flo Braker’s fantastic book, Baking for All Occasions: A Treasury of Recipes for Everyday Celebrations. 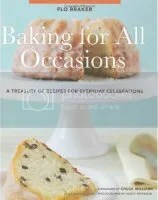 It is firmly ensconced as one of my favorite baking cookbooks of all time, and I highly recommend it. Not only is it full of inspired, yummy recipes written with detailed directions, you can just tell the author truly loves to bake, and that matters to me. 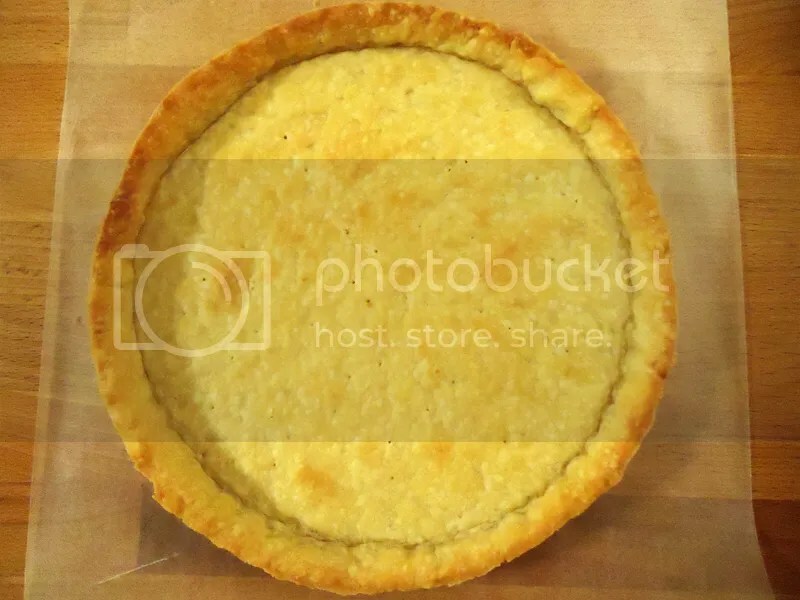 As Braker suggests, this pastry makes a lovely crust for a savory pot pie or tart (like this one); simply omit the sugar and lemon zest and proceed as directed. 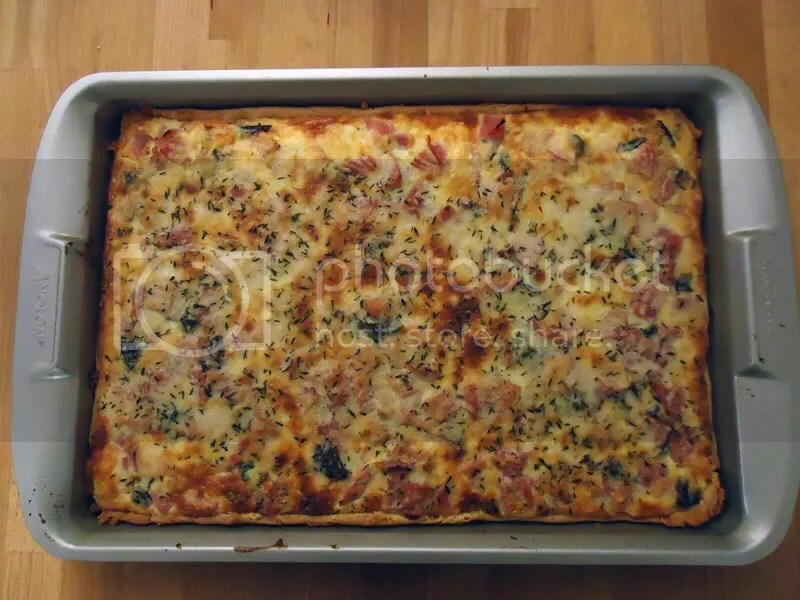 Roll pie crust dough into rectangle roughly 13″x16″ and place in lightly buttered baking sheet. (Quick tip: I find it much easier to roll my pastry out between two sheets of parchment paper.) 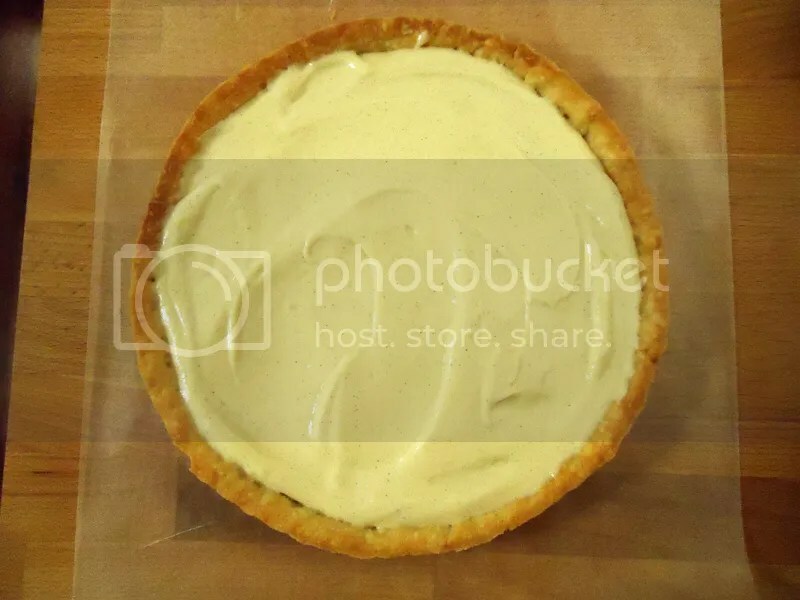 Pinch edges to form a small lip, prick bottom of pastry all over with fork (to keep it from bubbling up during baking), and place crust in freezer for 30 minutes. This step chills the fat in your pastry dough and makes for an extra tender, flaky crust. Preheat oven to 375F. While tart crust is in the freezer, heat olive oil in saute pan over medium heat, then add onions. Cook 7-8 minutes, until onions are translucent but not browned. Add garlic and stir, then chopped chard. 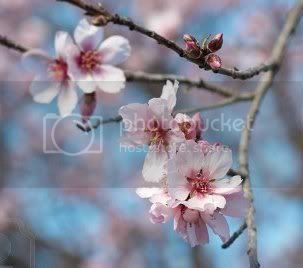 You may need to add it in batches and allow it to wilt before adding more so that it will all fit in your pan. Turn up heat to medium-high and cook, stirring occasionally, for 1-2 minutes, then add 1 tsp. of the coarse sea salt and the thyme, basil, marjoram, and mustard seed. Stir well and allow to cook for 5-6 minutes more, or until chard and onions are tender. Turn off heat and set aside. Place chilled tart crust in oven and bake for 7-8 minutes, just until golden. (This keeps the crust from getting soggy later.) While it’s baking, get out a mixing bowl and whisk together the eggs, creme fraiche, remaining salt, pepper, nutmeg, and 4 oz. of the cheese. When tart crust comes out of the oven, spread cooked chard and onion mixture across bottom evenly. Sprinkle over chopped ham/bacon, then pour over egg mixture — it will be full, but it will fit, I promise. Sprinkle remaining ounce of grated cheese over top of tart. You can also add another few shakes of dried thyme if you’re feeling artistic. Bake for 20 minutes, until golden brown and the filling is bubbly. Once again I task you with obtaining an unusual ingredient, and once again I guarantee it’s worth it! :) I first discovered brown mustard seed when I started experimenting with Indian cooking, and it quickly became a favorite ingredient of mine across the board. Just a little gives dishes savory, nutty depth. 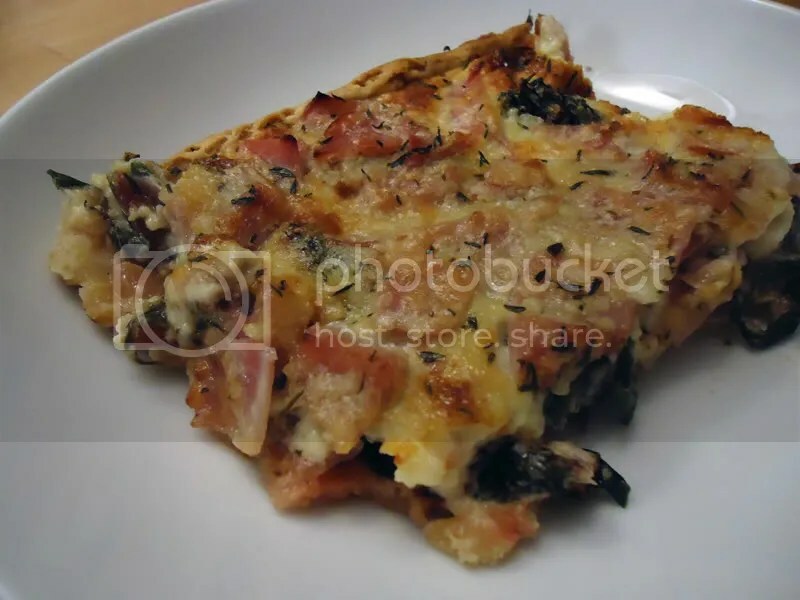 I love it with anything cheesy, veggies of all sorts, and roasted chicken, beef, and salmon. I never make a batch of stock without it, and it works in just about any soup or stew. I buy crushed brown mustard seed on-line from the Spice House, and they are hands-down my favorite source of spices and herbs. Their prices are often better than the grocery store, and their products are always superior.